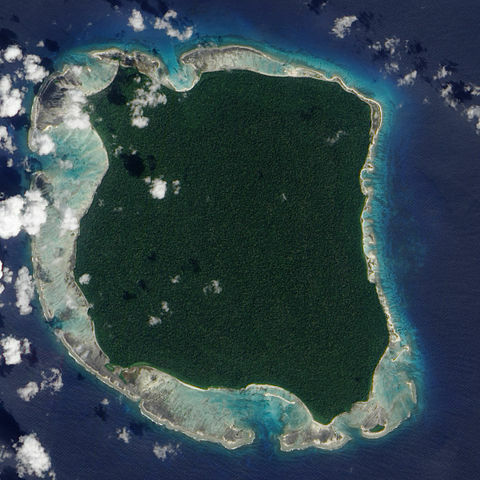 The North Sentinel Island is one of the 572 islands in the Bay of Bengal. This group of islands is known as the Andaman and Nicobar Islands. The North Sentinel Island is among the last remaining uncivilized places on the earth. It is home to a small tribe known as the Sentinels. They are the most isolated tribe without any external contact and it is also considered illegal to contact them. They reject all types of communication with the outside world and they know virtually nothing of this modern world. The number of the Sentinels is believed to be anywhere from 50 to 400. They have lived on this island for an estimated 60,000 years. This tribe is not included in the Indian Government’s census as the government officials do not venture on to the island at all. They have had almost no contact with other people for thousands of years so their language is very different even from other Andaman islanders. In 2017, a law was passed that made it illegal to post photos or videos of the Islanders. On January 26, 2006, two fishermen were wandering the island and they were murdered by the islanders. Later a helicopter was sent to recover both the bodies but the islander chased that away with arrows. These people are hunter-gatherers as their routine involves hunting, fishing, and collecting wild plants. On 21 November 2018, a 26 years old American tourist was killed by these people. Up until now, they have attacked nearly every outsider who has strayed into their territory.